We at Global Trim are excited to welcome you to our new and improved website. We’ve created a website that better reflects who we are as a company and an industry leader. It’s our mission to provide the best service and top-quality products to amazing customers all over the world…and have fun doing it. As a result, we’ve incorporated a simple yet modern design that we are proud of. Along with improved navigation, we’ve set out to showcase our products and services. The old cliché is true. A picture really is worth a thousand words. So we’ve made it a priority to literally show you what we can do, with rich, beautiful photos that capture our work. With the new site, we’re integrating yet another feature to service our customers. We will be using this News section to provide visitors with the latest updates on what’s happening at Global Trim and around the industry, focusing on information we think will be both interesting and valuable. It’s just one more avenue for you to get to know us a little better and for us to serve you in new and exciting ways. In the future, you can expect to read about the trade shows where you can find us and talk with us in person. We’ll be sharing with you about the new U.S. patent we’ve been granted and showcasing some of our most exciting products. We’ll also cover topics relevant to the industry, such as brand control, U.S.–China tariffs, anti-counterfeiting measures, and more. Check back regularly to see what we come up with next. Finally, we’ve added a little about our history to the site. We’ve got a unique story that we love to share. 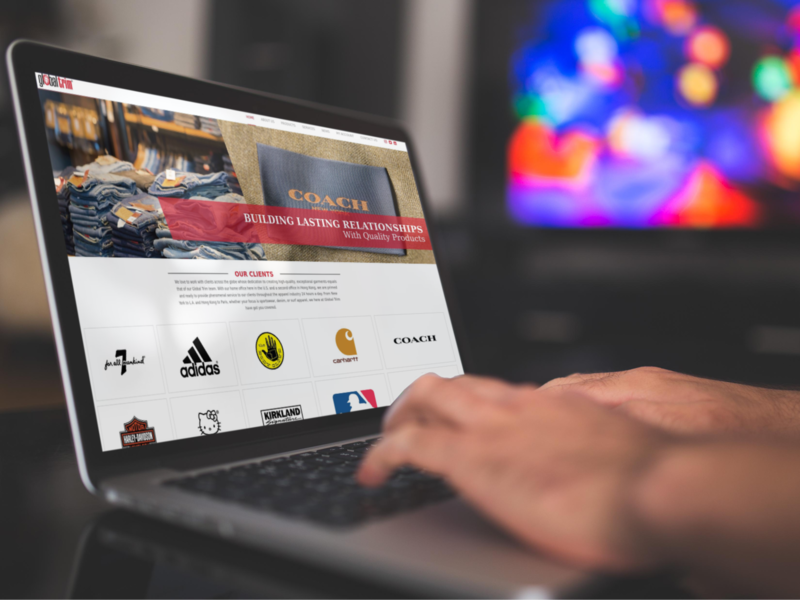 Now you can read about how Hersh Cherson came from Duluth, Minnesota, to California and ended up selling buttons and tags, eventually founding Global Trim, a company that serves 29 countries and partners with major brands like Adidas, Coach, and Rocawear. We are looking forward to the next chapter of our story. And we’re excited to share that journey with you. Take a look around. Get to know us a little better. We’d love to hear your thoughts.